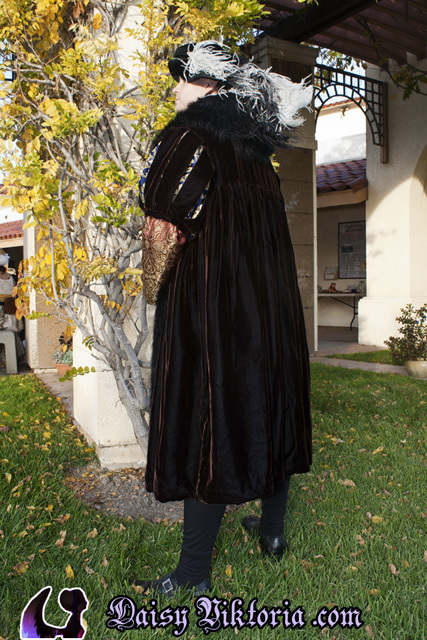 This is based on fashion from late 16th century Venice, ~1570s. 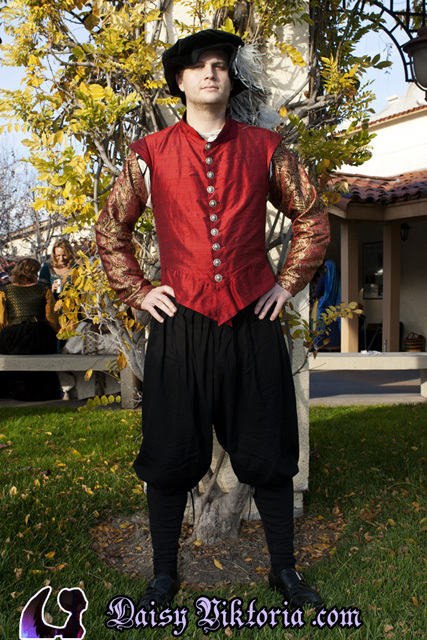 The undershirt is made of white linen. 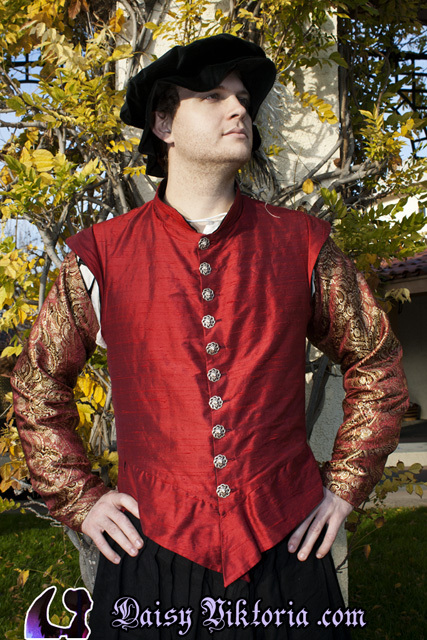 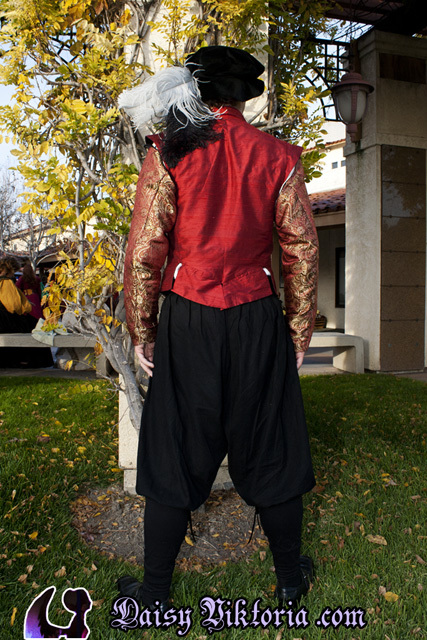 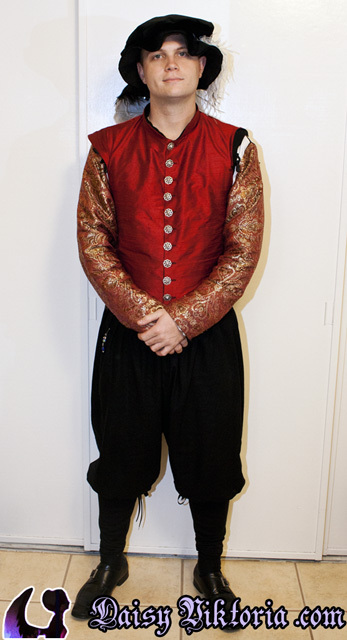 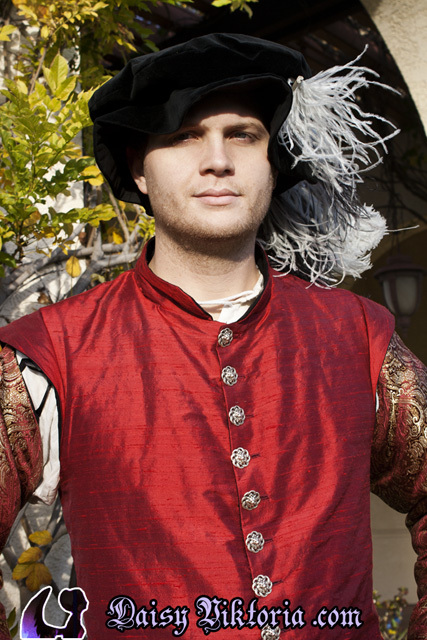 The doublet is made of red silk with detachable tie-on brocade sleeves. 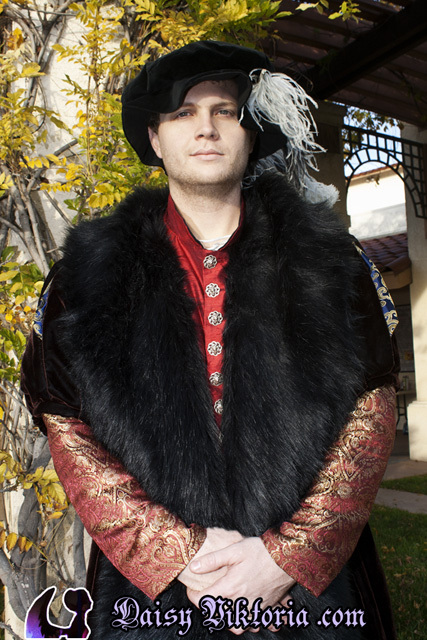 The hat is black velvet with ostrich feathers. 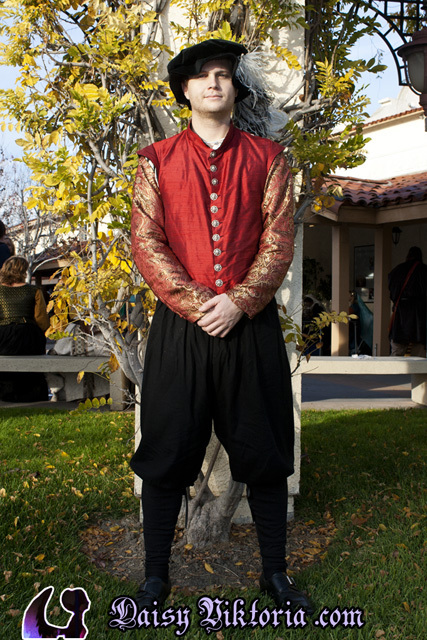 The pants are black linen, made in the Venetian style. 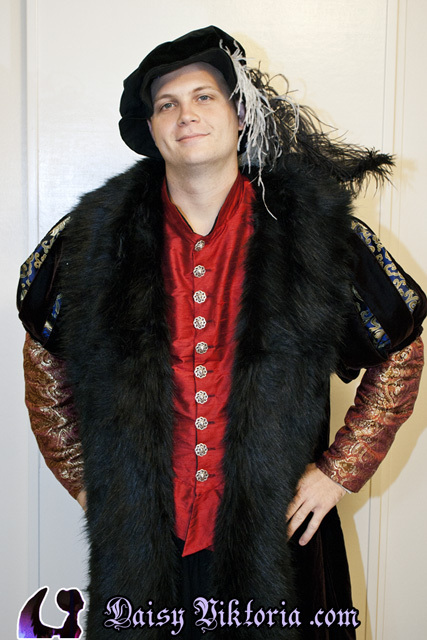 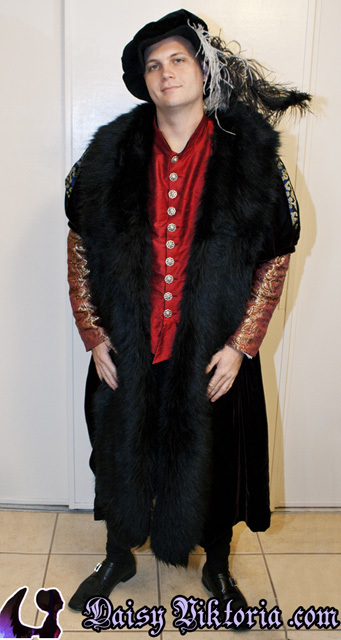 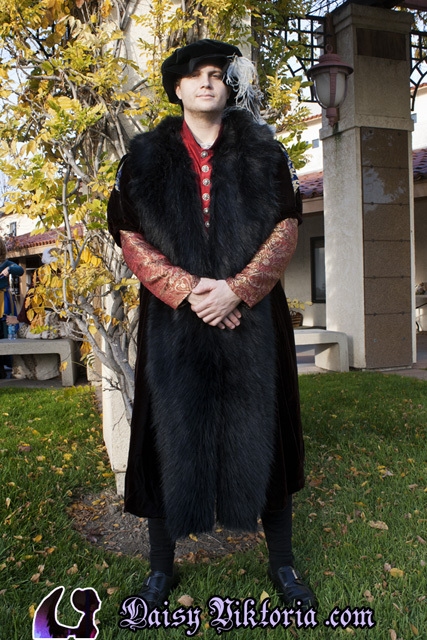 The coat, or loose gown, is made of silk/rayon blend velvet and lined in black. 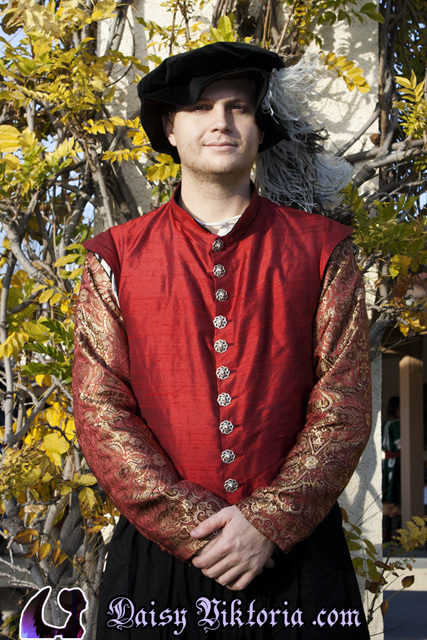 The slashes in the sleeves show a blue brocade under layer.